Riotoro is a new company founded by former Corsair and Nvidia employees that used Computex to fill out its product line. 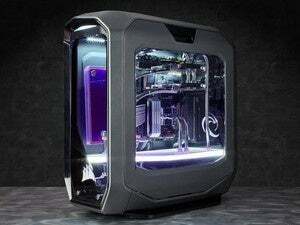 Earlier in 2016, a new PC component company called Riotoro—made up of former Corsair and Nvidia employees—launched its first major product, the Prism CR1280 PC case. Now, Riotoro is using Computex to emerge more fully from the shadows, filling out its component lineup with gaming keyboards, PC power supplies, a liquid CPU cooler, and a new version of its Uruz optical gaming mouse. Riotoro introduced two new gaming keyboards at Computex under the Ghostwriter line. The first is its flagship mechanical keyboard, the Ghostwriter RGB Mechanical Keyboard. This peripheral features programmable animated per-key backlighting, Kailh switches, and a detachable magnetic wrist wrest. The Ghostwriter Standard, meanwhile, features membrane keys, customizable global backlighting, and the same detachable magnetic wrist wrest. On top of that, both keyboards offer USB pass-through, full n-key rollover, and a 1 millisecond response time. Look for them to roll out during the second half of 2016 for an undisclosed price. 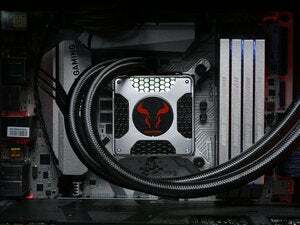 Sometime between July and September, Riotoro will introduce two new power supplies. The first is the Onyx ATX Series in 450, 650, and 750 Watt models. Riotoro's PSUs are 80 Plus Bronze certified for efficiency, offer semi-modular cabling, a rifle bearing fan, and a three-year warranty. The second model line is the Enigma ATX series, which will only come in a 750 Watt model. It offers 80 Plus Gold certification, a semi-modular cable system, and a five-year warranty. Pricing wasn't announced for the new PSUs, either. 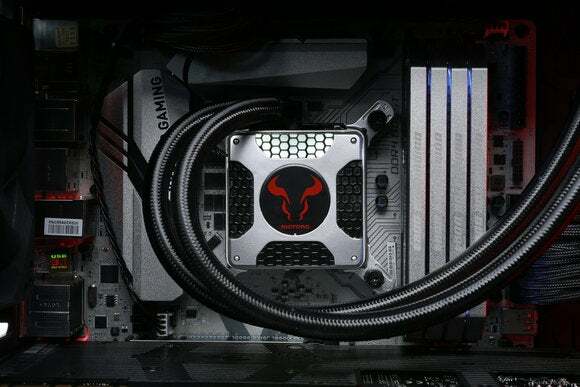 Riotoro's also rolling out two liquid CPU coolers in 120mm and 240mm sizes under the Bifröst name—borrowed from Old Norse mythology, or the Thor movies, depending on your point of view. 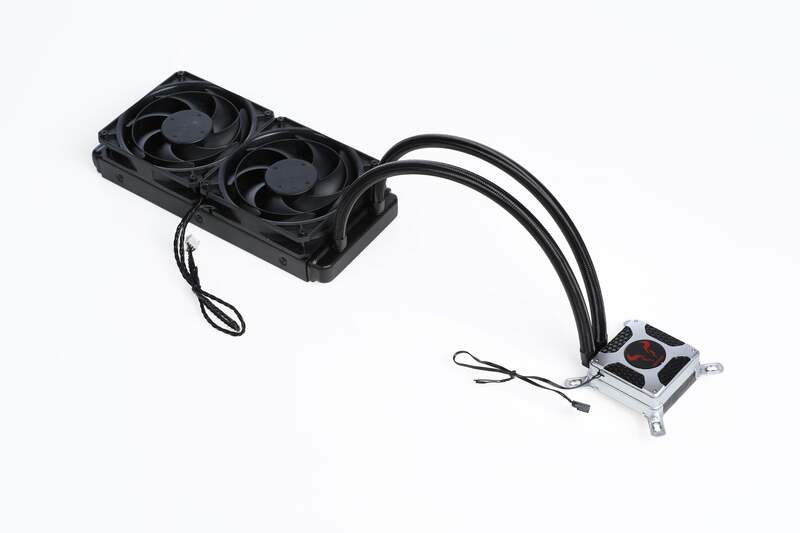 The Bifröst 240 features a 240mm radiator, and dual 120mm pulse width modulation (PWM) fans, which Riotoro says offers more efficient cooling and low noise. The 240 comes with a five-year warranty. The Bifröst 120, meanwhile, offers a 120mm radiator that is 45mm (1.77 inches) thick to help squeeze into smaller PC case sizes. There’s also a 120mm static pressure PWM fan, and a five-year warranty. Both cooling set-ups use a “new generation copper cold plate” that allows for better heat transfer from the CPU to the water block, Riotoro says. The Bifröst 240 is priced at $100, while the 120 has an MSRP of $85. A release date was not announced. Riotoro is also rolling out a new version of its Uruz optical gaming mouse. Riotoro says the updated peripheral has more style and a better build quality than its predecessor. The mouse features a 4,000 DPI optical sensor, six programmable buttons, 1000Hz poll rate, an aluminum scroll wheel, and a soft-touch coating. The updated Uruz will roll out sometime between July and September with an MSRP of $40.